Just to prove that there really are no new ideas under the sun, any of you remember the cuddly, kooky villain FURSONA from Diaperman #13 and #14? He’s the guy in the bear suit. Well, apparently he’s been moonlighting as a villain in ANT-MAN, as shown by this page spread from ANT-MAN #2! Pretty cool, eh? Probably angry that there’s been no new issues of Diaperman recently! Awesome. That’s Grizzly… who is a classic Spider-Man villain. Who once did the whole Batman & Robin thing with another classic Spider-Man villain, The Gibbon. Both of them are pretty awesome. 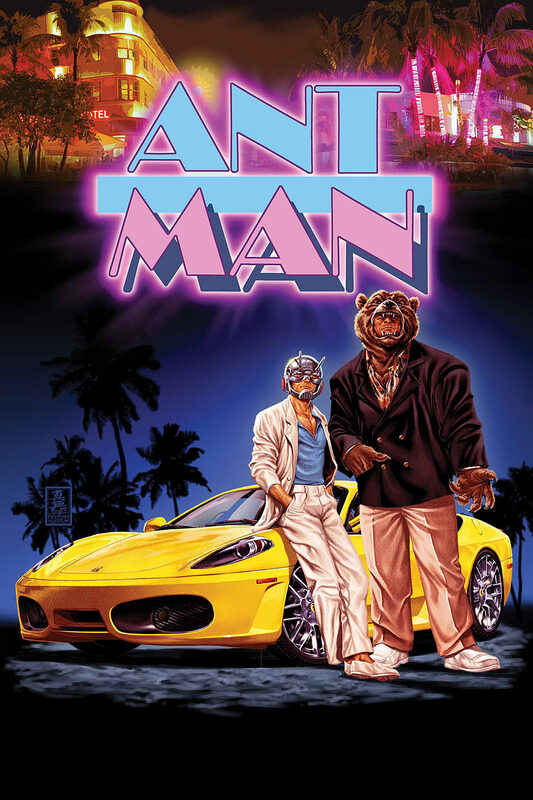 It looks like Grizzly will be an associate of Ant-man’s in the comic. Sounds like a crossover that needs to happen.